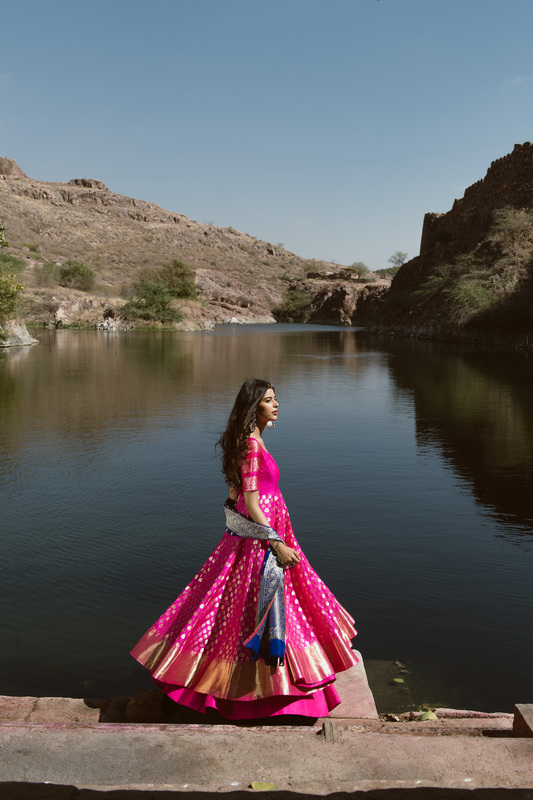 » » The Urban Guide » Weddings » Wedding Fashion » Banarasi Silk Lehengas That Every Bride Must See: Bageecha’s 2018 Collection! Everyone knows that banarsi silk is a hot trend in the world of wedding fashion. You want one for yourself, but why should you get it and most importantly, where can you get it? 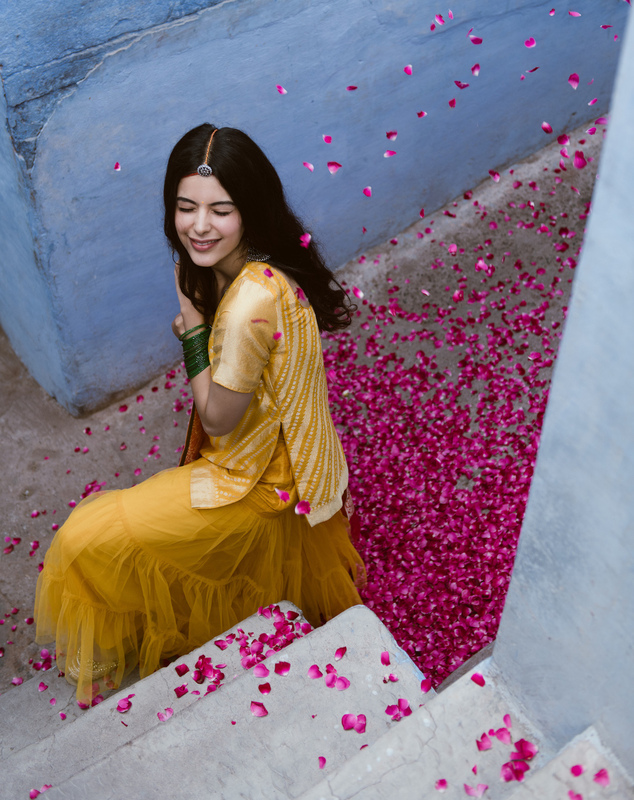 What’s Up With All The Banarsi Silk? 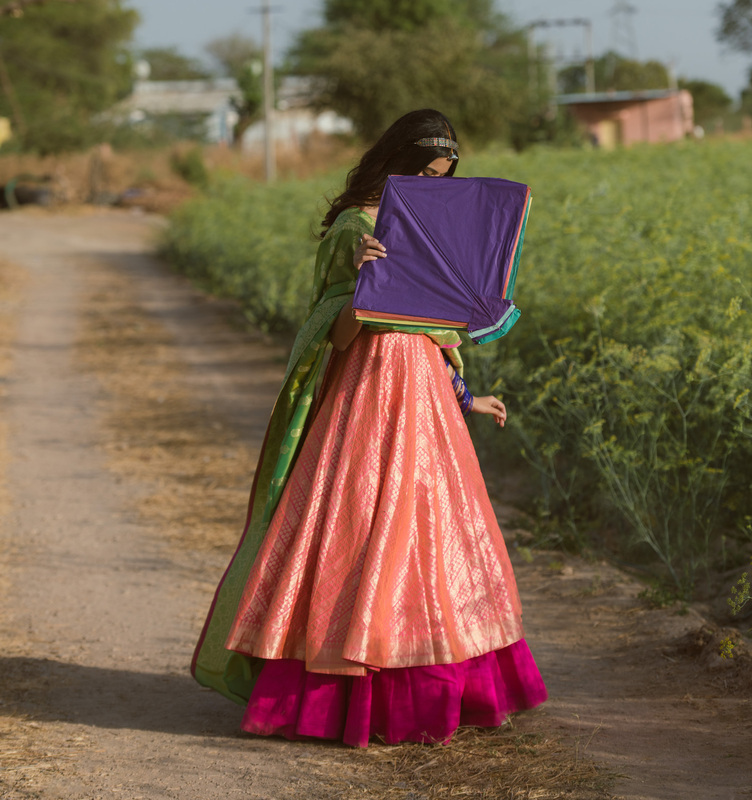 Back in 2016, a handful of brides had started wearing banarsi silk lehengas at their weddings. They were a beautiful and hassle-free option for the Indian bride, who was looking for a “light in weight” option that didn’t “look light”. 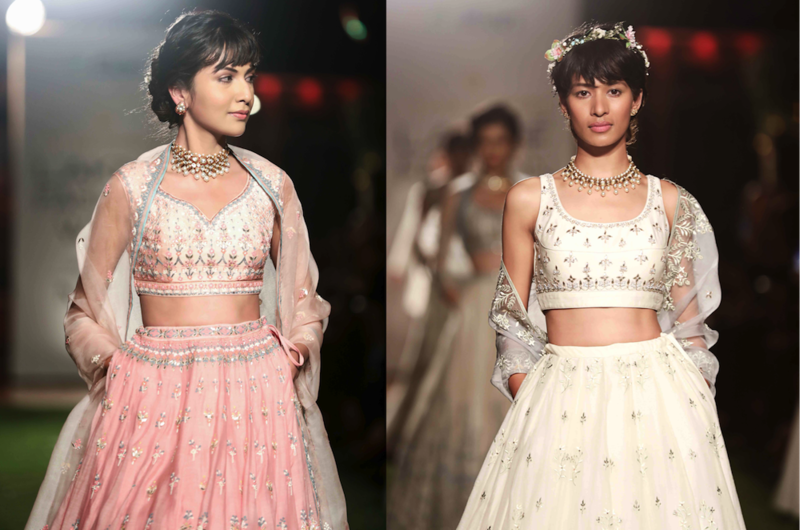 These lehengas did just that for them – no heavy embellishments & embroidery required to make it look bridal. Since then, more and more brides have been choosing the benarsi silk lehenga for it’s simple yet inherently heavy look. 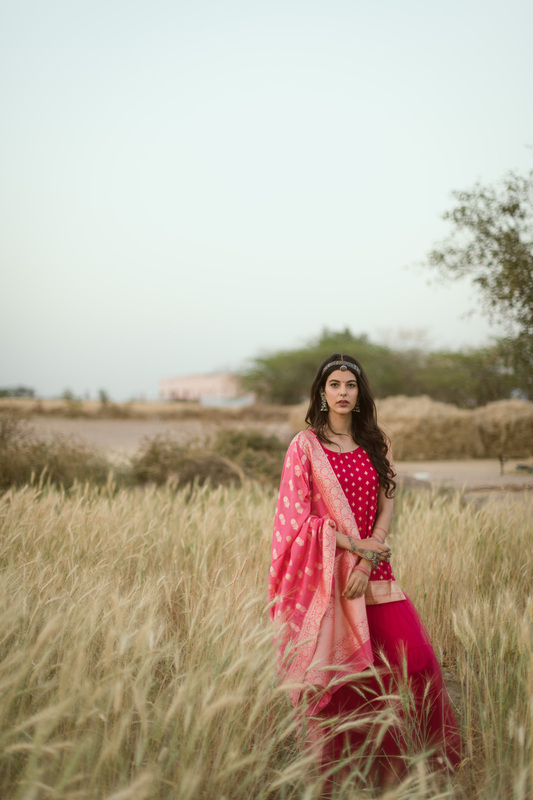 Sabyasachi added fuel to this trend with the introduction of banarsi silk dupattas in his latest 2018 collection, and now every bride is seriously considering adding atleast one piece made from banarsi silk to their wedding trousseau. 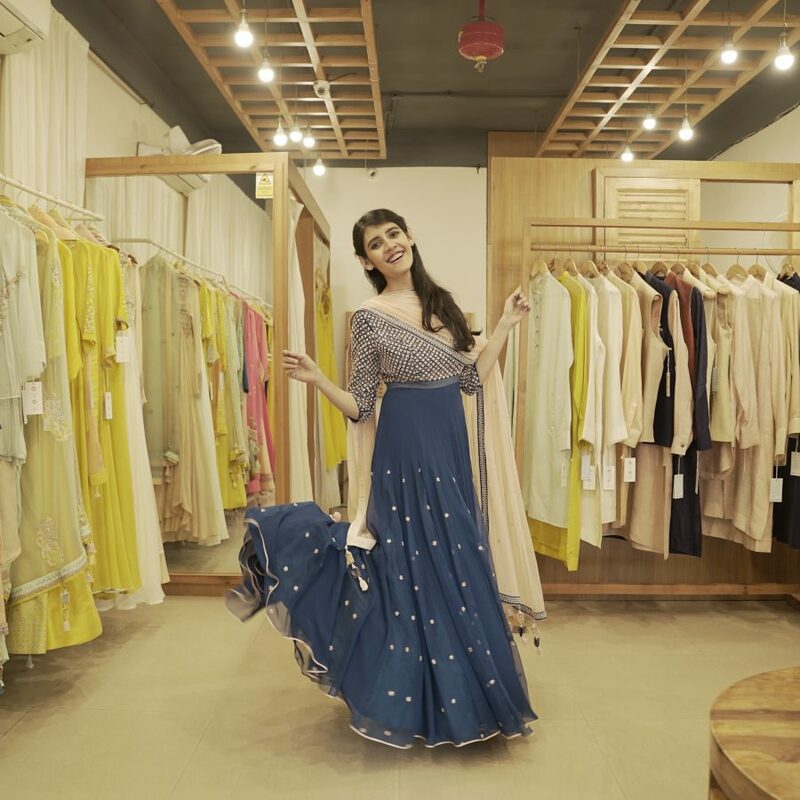 Where can I buy a good banarsi silk lehenga & anarkali? 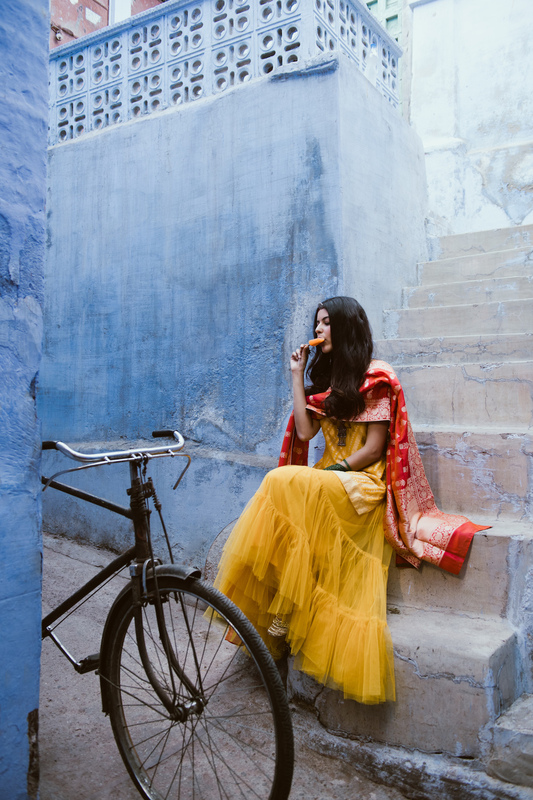 While Raw Mango and Ekaya are eternal favourites of ours, there’s a new store that opened up in the lanes of Shahpur Jat, New Delhi last year – Bageecha Banaras. Their latest spring summer 2018 collection, called Lamhey, is just so pretty! 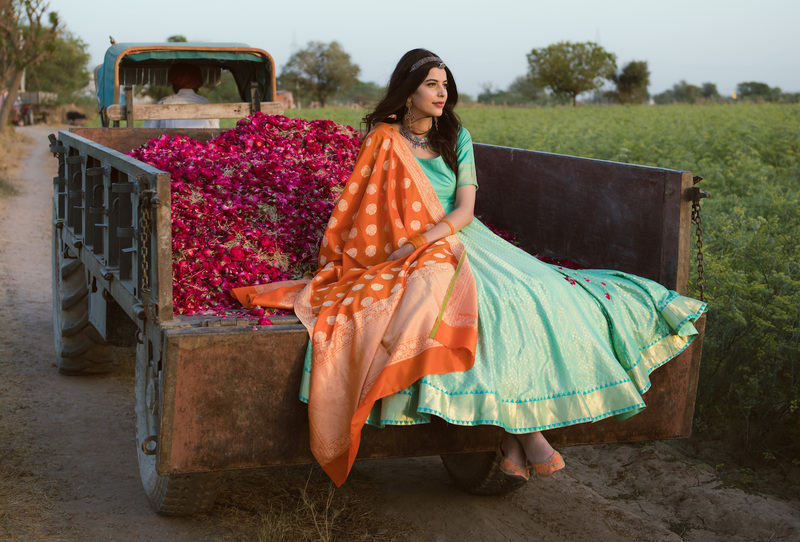 With hot pinks, mango yellows, sea foam and jewel tones like emerald green, it’s a mish mash of stunning benarsi silk and zari woven brocade outfits. The styling of this shoot makes these outfits appear lighter than they actually are. 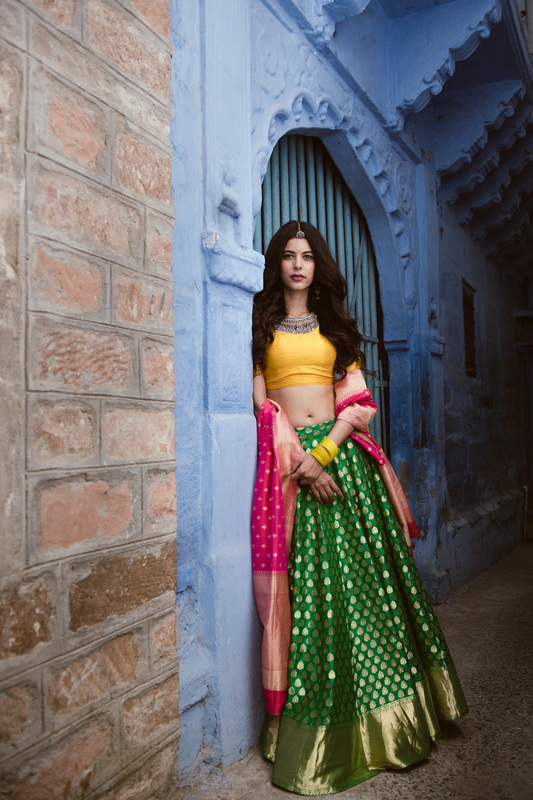 Pair the beautiful lehengas with a heavy blouse, bridal jewellery and a dupatta draped over the head – and you’ll have a wedding worthy banarsi silk lehenga! We also love a lot of these for the bride to wear on her Mehendi ceremony. 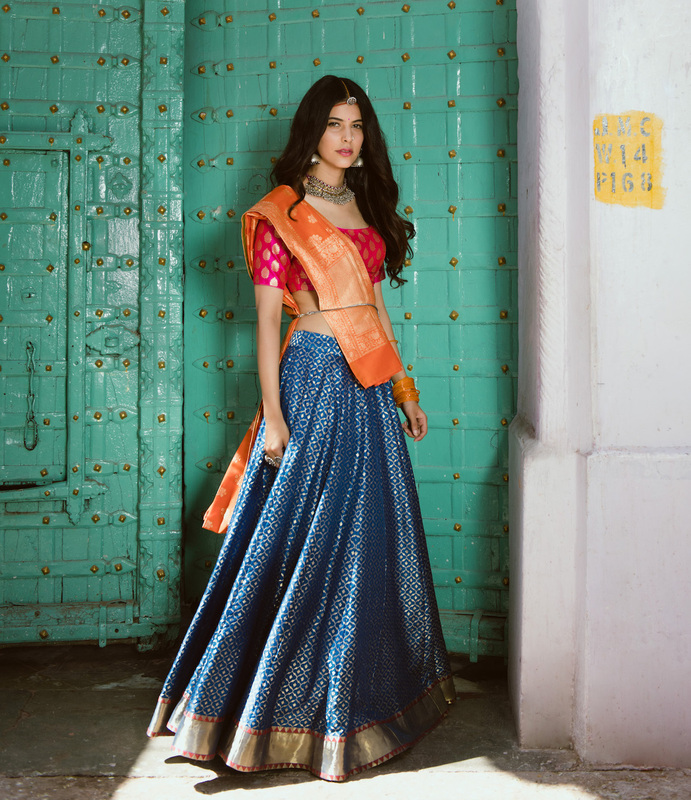 Pairing these rich anarkalis with plain raw silk lehengas is a great way to create a “heavier” wedding look! You can buy these at Bageecha’s store – 87B, Baba House, ShahpurJat, Delhi. 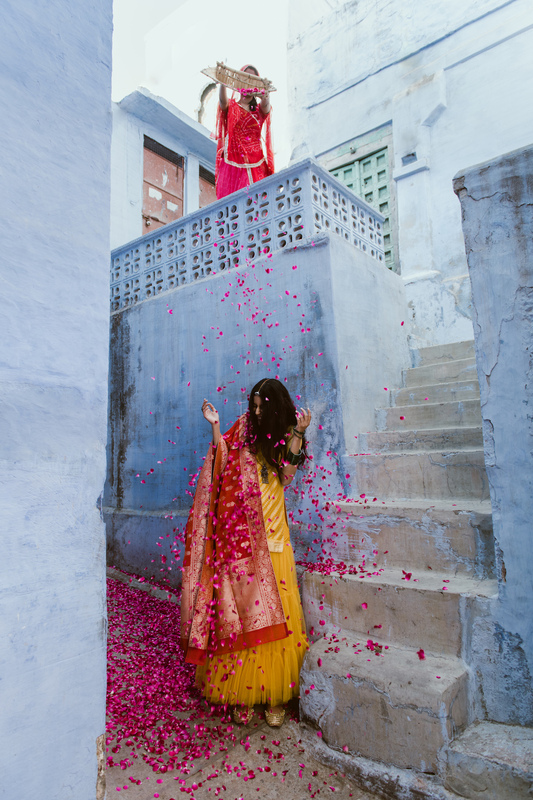 If you’re planning a visit, check out our Shahpur Jat Wedding Shopping Guide so you can discover more stores to look at. 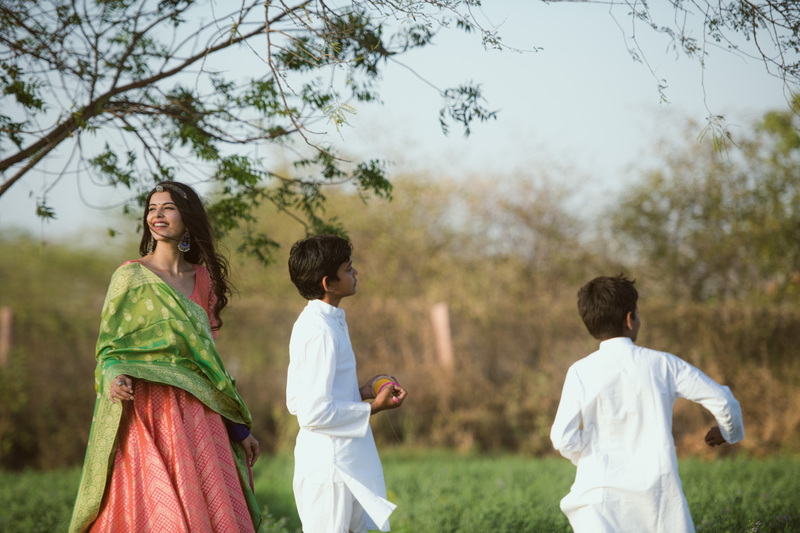 Are you a fan of the banarsi silk trend? 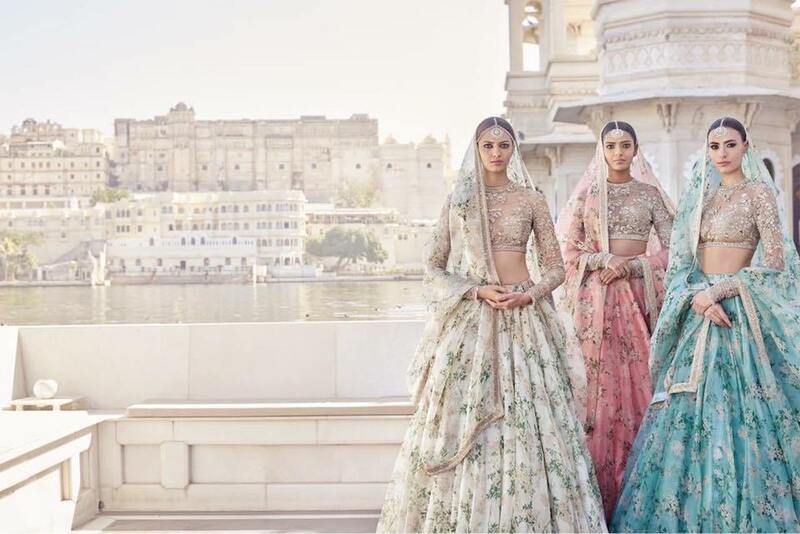 15+ Gorgeous Bridal Outfits We Found On Sonam Kapoor’s Wedding Guests! 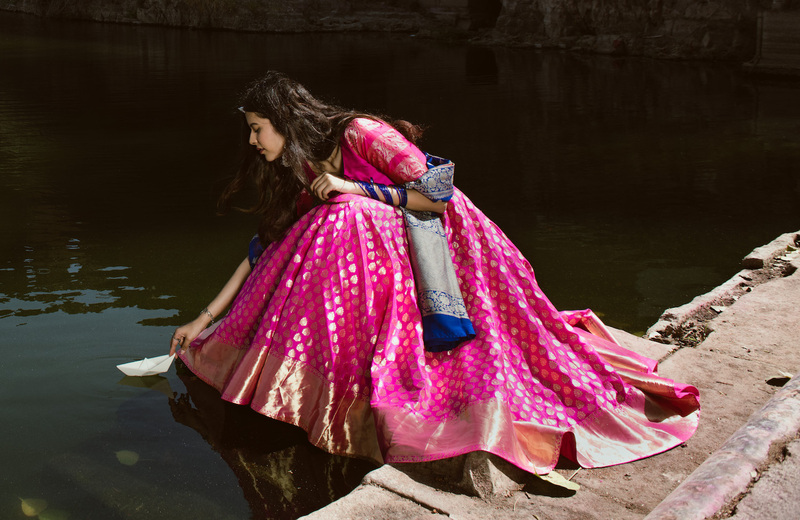 1Banarasi Silk Lehengas That Every Bride Must See: Bageecha’s 2018 Collection! 2 Where To Find The Best Wedding Invites & Save The Date Cards Online: For FREE! 3 Wedding Invite Wordings Guide: What To Say on Reception, Sangeet & Other Cards! 4 All Kinds of Love Quotes for your Indian Wedding Invitation!